By the fact that I’ve posted once update, this week, over the entire month of September, you already knew something was up. 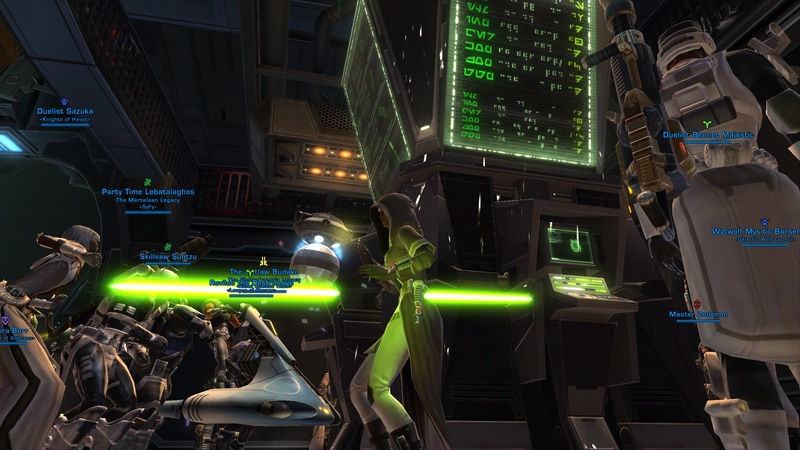 And that something is: I’m not really playing SWTOR at the moment. There are a variety of reasons, including guild implosions, friends who’ve stopped playing, and RL not giving me much time to do anything let alone play SWTOR and blog and podcast about it. Thus, it’s time for me to take a break. I just gave a heads up to listeners who joined us live for recording this week’s podcast (which will be up on the site in a few days) that this is my last one for a while. So that makes it official. I’ve had an amazing time being part of such a vibrant and engaged fan community. I appreciate all the access and information the SWTOR community managers have given little ‘ol me. But most of all I’ve enjoyed debating the finer points of this game with all of you. It’s meant a lot. This domain is paid up for some time, so if I pick the game back up, you may see some new posts here. So we won’t say this is goodbye, just so long for now. P.S. I’ll still be up to no good on twitter, so be sure to follow @anexxia there. It’s been pretty quiet around these parts. 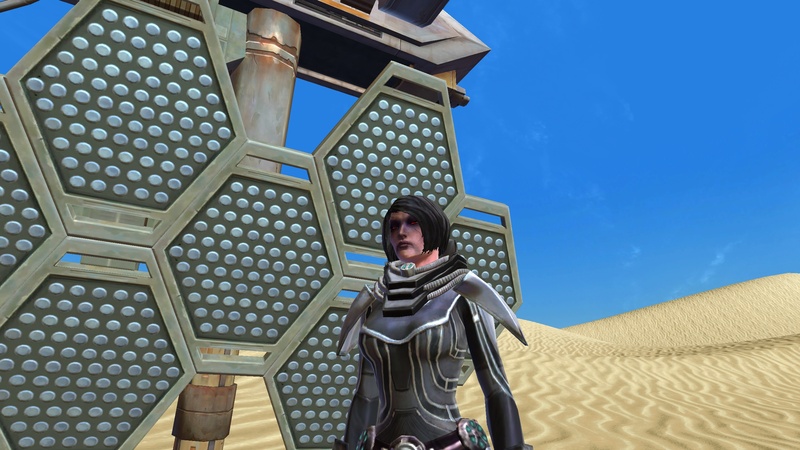 But yesterday, the blog saw a small flurry of visitors, looking for assistance from my post with its resources for (re)naming your SWTOR characters, and ideas for (re)naming your guild something clever. 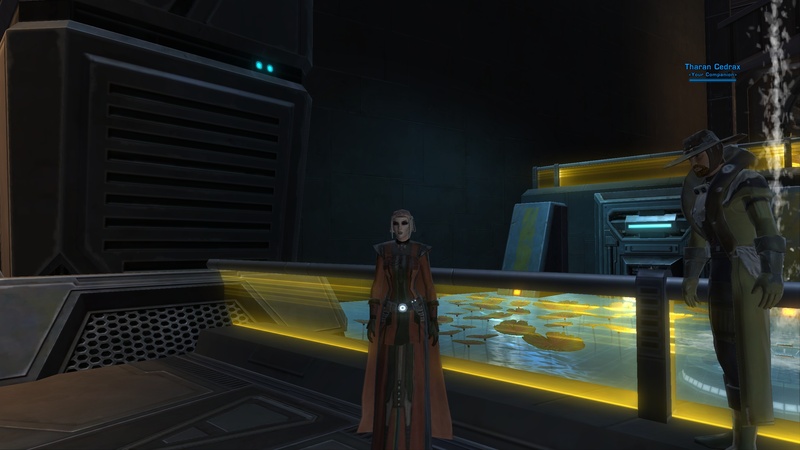 That’s because with less than a day’s notice, SWTOR did another server consolidation, moving all the origina server folks to a new server, but in some cases, additionally moving destination servers from the round 1 consolidation to a new server as well. Includes: Jedi Covenant, Canderous Ordo, The Constant, Krayiss Obelisk, Kathol Rift, Whitebeam Run, Khoonda Militia, Ki-Ta Kren, Kaas City, Fort Garnik, Hanharr, Sedyn Kyne, Keetael, The Corsair, Nathema, Zez-Kai Ell, Shii-Cho, The Courageous, Assassins of Sion, Eidolon Security, Axial Park, Keller’s Void, Master Dorak, Juyo, The Defenestrator, Telos Restoration Project. The Ebon Hawk, Kath Hound, Rubat Crystal, Lord Adraas, Sanctum of the Exalted, Shien. The Bastion, The Crucible Pits, The Maw, Rakata Mind Prison, Nadd’s Sarcophagus, Infinite Empire, Daragon Trail, Warriors of the Shadow, Black Vulkars, Shadowtown, The Swiftsure, Dark Reaper, Wound in the Force, Mandalore the Indomitable. 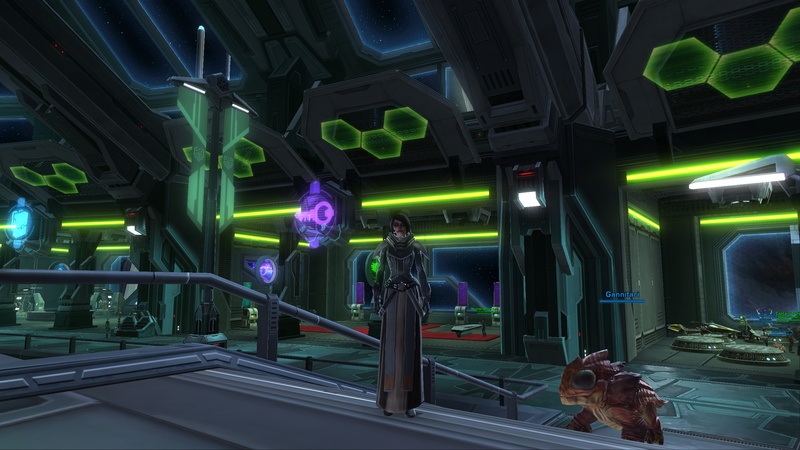 The Harbinger, Drooga’s Pleasure Barge, Fa’athra, Veeboo Lunx, Master Gnost-Dural, Darth Xedrix, Gauntlet of Kressh, Zakkeg Beast, Perlemian Trade Route, Zaalbar, Empress Teta, Namadii Corridor, Kaiburr Crystal, Krath, Wall of Light, Vornskr, Soresu, Lord Praven, Master Zhar Lestin, Space Slug, Darth Sion, Hyperspace Cannon, Mask of Nihilus, The Jekk’Jekk Tarr. I had an OK time of it in that I didn’t lose any of my level 47+ names. I lost a number of my placeholder names, and on Jedi Covenant, I now have 3 characters with the same name times 3 if I recall, which means having to figure out a slew of new names, or, more likely just deleting some of those alts after checking their bags for shiny crafted gear made by Anexxia. I still need to log in and actually rechoose my legacy name and clean things up. It was just too overwhelming last night, after seeing all the characters crammed together on Canderous Ordo, to get it together and sort it all out. I’m hoping that now that we went through this additional consolidation, paid server transfers will be on the horizon so I can finally do my own reunification and consolidation and no longer have my favorite character on a PvP server as I am just not feeling that environment. I expected to be doing my own write-up of the race today, but that is not to be. You see, dear reader, I was out on vacation all of last week, with my game playing time during the Race being limited to Sunday. And although I logged in on Sunday morning, raring to go, I did not end up making it through much of the Race, which was very disappointing, especially considering that I spent several hours working at it. “Bonus” quests weren’t actually optional. They were, in fact, how you obtained the item. I thought the items were in fixed locations, and the bonus quests just were an alternate way to get them at first, and thus I ran off after getting a bonus quest in an area swarming with others attempting to do it. Other players could sabotage your quest. I found this out on DK, while fighting off 4 baddies, when some jerk came up and repaired my droid, thus FUBAR’ing my quest. As I learned later, I could have abandoned the entire Race quest chain, backtracked to Nar Shadda and gotten it again without losing my progress to reset it. But at the time, how to go about resetting it (I abandoned it and went back to the area I picked up the droid hoping that would do it to no avail) was not obvious. Some quests required using an item, and a dozen people were already waiting to use the item. The droid race area was swarming with people battling it out to get the fastest click. The standing around and waiting got old after about 5 minutes for me. Looking for and looting boxes to procure random items was not appealing for me on a PvP server, alone. I had 2 or so guildies on at any given time, and friends who were interested in doing the Race had already done so at this point, leaving me to group up with strangers, which I did some. But for random items to loot, that would not have been a good strategy. And at some point it just seemed like a lot of time/effort/work and not so much fun. Which is why I didn’t just start over and try doing it on my PvE server. At the end of the day, I just don’t think that would have boosted my enjoyment. And this is why despite having sunk a few hours into it, I logged out yesterday afternoon, without having completed the Race. And I’ll admit it: I was bummed out about it. I’m not a quitter. Or a slacker. But at the end of the day, I play these games to have fun. And this event just…wasn’t fun for me. Was it just me? Was this some sort of post-vacation inability to get back into the swing of the game? Let me know your thoughts on the event in the comments! I’m headed out now to meet with the Chevin Conglomerate Grand Acquisition Race representative at the Nar Shadda Promenade. If you don’t hear from me in a few hours, send out the Empire bloodhound droids. When Master Yuon introduced us, I gave you the benefit of the doubt. After all, she seemed to think you were a loyal valuable ally, who was interested in supporting our cause. After you lost all of your points, and dishonored yourself in the eyes of the Scorekeeper, even then I had faith in your support and perseverance, and considered you to be a valued member of my crew, and even a friend. After all, me beloved Master Yuon thought so highly of you, and entrusted me to you in her time of sickness. And thus I took your surly attitude and constant complaining with a grain of salt. Even my cousin Anexxia’s warnings about the true nature of Trandoshans didn’t sway me in my support of you — I just took it as more dark side tainted villainy. But then we traveled to Voss, and everything changed. It was like you lost your mojo. Despite complaining often about “weak opponents” that were unworthy of your time and attention, I found myself having to revive you, often. Time and time again, I turned down armoring that could have helped me bolster my own defenses to take upgraded gear for you, in the hopes it would help you sustain our tougher battles. But it was not to be. After our third setback in as many days, which required us to have to backtrack through the entire dark heart to re-engage with a strong foe, who once again bested you, I could see the writing on the wall: our time together had to come to an end in order for me to fulfill my destiny. I’m reassigning you to the ship, on holocomm duty. And effective immediately, Tharan shall accompany me on all off-ship excursions. I’m sorry that it had to come to this, but you have become somewhat of a liability. Today’s the big day — the server transfer loyalty rewards are popping up in the mail. For each of your eligible characters, you’ll have an in game mail with a lockbox that contains this adorable Gannifari pet and 25 Black Hole commendations. There is one small catch however– you must be level 20 to unlock the box and claim your rewards. So start leveling those baby alts you transferred! Another Tuesday and another set of patch notes! The Legacy Levels required for experience modifier perks have been adjusted. The ranks now require Legacy Level 2/3/5/7/10 (changed from 5/10/15/20/25). The Legacy Levels required for companion modifier perks have been adjusted. The ranks now require Legacy Level 2/5/8 (changed from 5/10/15). The Capital World and Outlaw’s Den priority transit perks now require Legacy Level 2 (previously 10). The Fleet Vanguard and Black Hole priority transit perks now require Legacy Level 5 (previously 10). The Legacy Levels required for the repair droid perks have been adjusted. The ranks now require Legacy Level 5/8/12 (changed from 10/15/25). The field respec perk now require Legacy Level 5 (previously 10). Full patch notes after the jump! Believe it or not it’s been a year since I opened the doors here at Inquisitor’s Roadhouse to share my adventures in the world of Star Wars: the Old Republic. The past 12 months have seen us feverishly anticipating the launch of the game, then going through 8 months of ups and downs and the game — and its players– got their footing, moving from subscription only to announcing a free-to-play option. I’ve also given myself the giggles a number of times reading over the list of amusing guild names in my collection of clever guild names post. In case you haven’t been keeping up with the gaming sites today, the big SWTOR News is the announcement of a free-to-play game option starting this Fall. And all around the twittersphere and blogosphere 800,000 or so subscribers cried out: Noooooooooooooooooooooo! Or did they? Since launch, our team has spent a lot of time trying to find new ways to be able to bring the Star Wars™: The Old Republic™ experience to as many potential players as possible. We quickly became aware that our subscription only model was a major barrier for a lot people who wanted to become part of The Old Republic universe. In fact, many players who have left the game said they would happily come back if they could play without the commitment of a monthly fee. We feel that flexibility and choice in playing our game is important for all current and future players. For that reason, we began the exploration of expanding the game to include a Free-to-Play option. 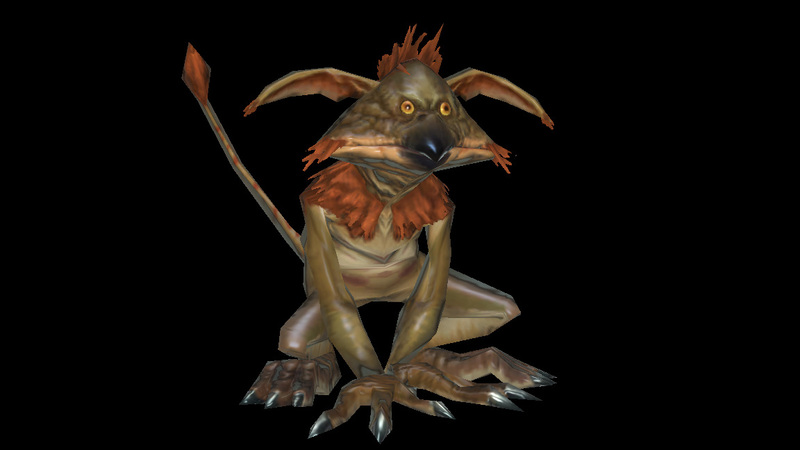 Some character creation options, such as species, are limited to subscribers. Free players are limited in terms of how many Warzones they can play per week. Free players are limited in terms of how many Flashpoints they can play per week. Free players are limited in terms of how many Space Missions they can play per week. Only Subscribers may complete Operations. Subscribers have access to all travel functionality, making getting around the world easier, while free-to-play players have limited access. Subscribers will always be in login queues ahead of free players. Current and lapsed subscribers will earn 200 Cartel Coins for every paid month prior to today (July 31, 2012) and until the Free-to-Play option launches. For those who purchased the Collector’s Edition, we have an additional bonus reward of 1000 Cartel Coins for you. Subscribers can post up to 50 auctions for sale. >What remains to be seen is if that is a reference to the existing 50 auctions per character limit that is in place on live servers, or if it is a per-account or per server restriction. Once I know for sure, I will update this post. Now, those of you who don’t enjoy the GTN mini game as I do might think to yourself, so what? 50 is plenty! But here’s the deal: I have very frequently hit that 50 item # on one of my characters on one of my servers. And I play both side on three servers, and have a ton of crafters who peddle their wares on the GTN. That means I have, on occasion, had up to 75 auctions going at any given time. UPDATE: I’ve gotten confirmation that it is indeed the same 50 GTN auctions per character limit we have in place now, not a new restriction. Huzzah! Color me happy as a clam! Unlike certain other games that caused subscribers to have to deal with the in game currency as a condition of their subscription, it seems like it will on the whole be more or less business as usual for subscribers. Which is exactly how I’d like to see it. Because managing tokens for game play is not how I want to spend my MMO play time. P.S. Comments are screened so if you just post a “Free-to-play=SWTOR has failed” comment it’s not going to show up here. P.P.S. I also highly encourage you to leave a voicemail at 616-666-6778 with your POV on these changes– we just might include it on the next Tor Reporter podcast.